Have you thought about booking a Frankenmuth vacation package? It's a breeze with Expedia, and you'll be able to buy some nice meals or gifts for your friends back home with the money you save. With more than 400 partner airlines and 321,000 properties to select from on our international database, you won't have any difficulty organizing your perfect vacation. If you have to postpone your travel itinerary, we will honor your cancellation request on almost all bookings with no added fees. 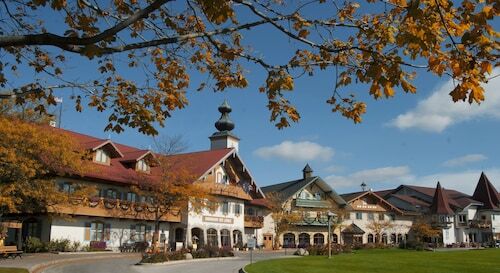 We've got all the hot sightseeing tips for your trip to Frankenmuth. Grab your organizer and get ready to start filling up that itinerary. If you want to see where the locals go to do their shopping, head to River Place Shops. Have a walk around and discover which stores are their favorites. Visitors have a top-notch range of things to do in this destination. History has many lessons to teach us. 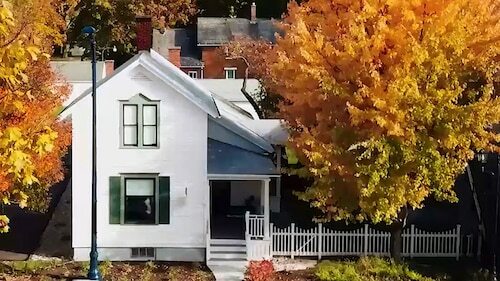 Soak up the knowledge and gain an insight into days gone by at Frankenmuth Historical Museum. Still have time on your hands? Space is known as humankind's final frontier At Michigan's Military and Space Heroes Museum enjoy an expertly guided tour discover more about the realities of exploring our universe. 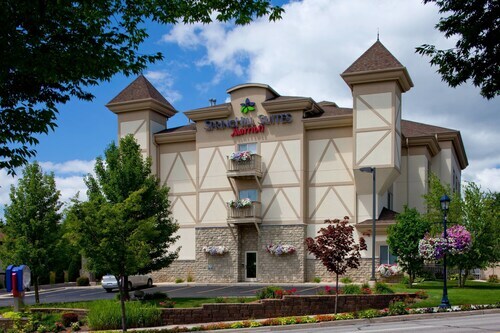 Searching for luxury getaways or cheap vacations near the middle of Frankenmuth? Don't forget to check out the listed accommodations in advance. There are 7 properties in the vicinity of this neighborhood. Kick your feet up and take a break the Bavarian Inn of Frankenmuth (1 Covered Bridge Ln) or the Holiday Inn Express Hotel & Suites Frankenmuth (926 South Main Street). 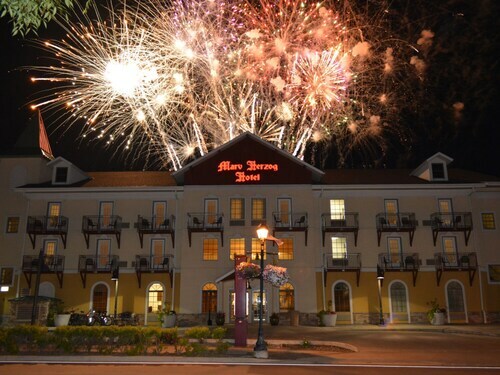 Whichever one you pick, you're sure to have a great stay! Make yourself comfortable, pop in your headphones and take a look at the in-flight movies. Soon you'll be shuffling out of the plane at MBS International Airport (MBS)! Located 25 miles (40 km) northwest of Frankenmuth, it's the neighborhood's closest terminal. This family-friendly Frankenmuth hotel is within a 10-minute walk of River Place Shops and Frankenmuth Historical Museum. The Fortress Golf Course and Michigan's Military and Space Heroes Museum are also within 15 minutes. Located in the heart of Frankenmuth, this hotel is within a 15-minute walk of Frankenmuth Historical Museum and River Place Shops. The Fortress Golf Course and Michigan's Military and Space Heroes Museum are also within 2 mi (3 km). 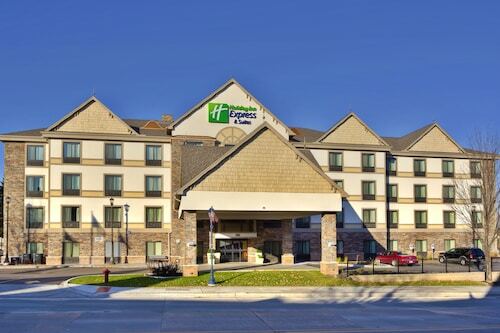 Situated in Frankenmuth, this hotel is within a 15-minute walk of Frankenmuth Historical Museum, River Place Shops, and The Fortress Golf Course. Michigan's Military and Space Heroes Museum and Bronner's Christmas Wonderland are also within 2 mi (3 km). 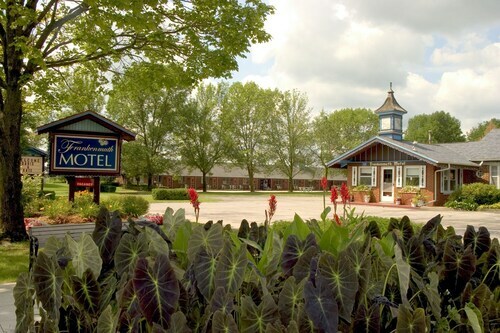 Situated in Frankenmuth, this hotel is within a 10-minute walk of Frankenmuth Historical Museum and River Place Shops. The Fortress Golf Course and Michigan's Military and Space Heroes Museum are also within 1 mi (2 km). Situated in Frankenmuth, this motel is within a 15-minute walk of Michigan's Military and Space Heroes Museum, River Place Shops, and Bronner's Christmas Wonderland. Grandpa Tiny's Farm and The Fortress Golf Course are also within 1 mi (2 km). 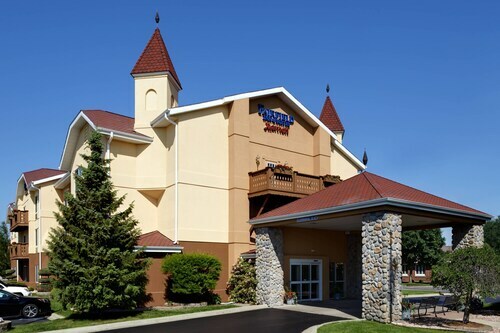 Situated in Frankenmuth, this golf hotel is within a 10-minute walk of River Place Shops, The Fortress Golf Course, and Frankenmuth Historical Museum. Michigan's Military and Space Heroes Museum and Bronner's Christmas Wonderland are also within 1 mi (2 km). This family-friendly Frankenmuth vacation home is located in a rural location, within a 10-minute walk of River Place Shops, The Fortress Golf Course, and Frankenmuth Historical Museum. Bronner's Christmas Wonderland and Michigan's Military and Space Heroes Museum are also within 15 minutes. Mon., 7 Oct. - Sat., 12 Oct.